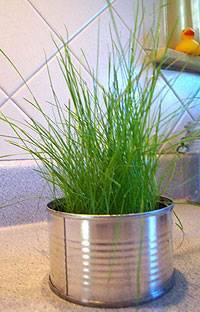 Bring a green into your home, just use a tin add the soil, plant or seeds to make a nice looking plant pot. Mix and match different size pots for great effect in groups. Or grow herbs in these tin plant pots and put them on the window ledge. These are so simple but effective. Don’t forget to put holes in the bottom of the tins for drainage and place the tin inside a small dish to catch excess water, especially important for larger plants.